It’s hot outside and you want to eat some delicious meals when you go camping, but you don’t really enjoy cooking in this heat. What to do? Well, there are plenty of ways to prepare wonderful meals without turning on a single oven or stovetop. Yes, no-cook summer recipes to the rescue! In most cases, you’ll want to bring pre-cooked chicken or shrimp with you, or both, to mix things up with each dish. As long as you have those items squared away, you can use simple ingredients for innovative and healthy lunches and dinners. 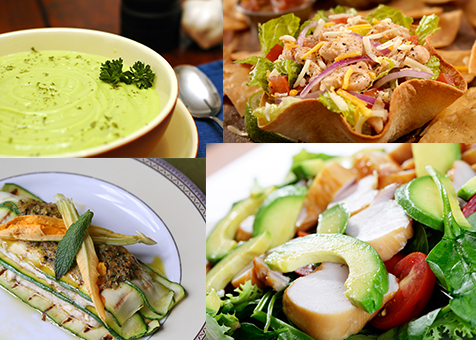 These summer recipes will give you the energy you need to pursue your outdoor adventures. Check out our favorite summer recipes below. 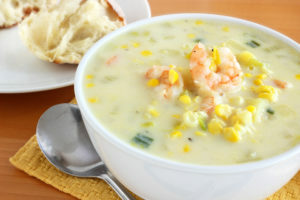 Using a blender, puree the corn, milk, yogurt, lemon juice, peppers/cayenne and salt and pepper. Use a sieve to get rid of excess liquids. 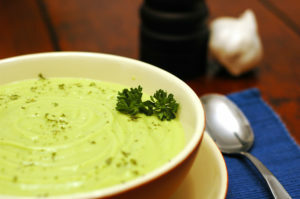 Remove any solids so the puree is smooth. Stir in chopped shrimp. Top with tomatoes and avocado slices before serving. Using a blender, puree all the ingredients above until smooth (add equal parts buttermilk and water if necessary). Refrigerate for 1 ½ hours or more for the ideal temperature. Garnish with walnut halves and a sprinkle of dill before serving. First, make the dressing by mixing the Balsamic vinegar, olive oil and splash of orange juice and set aside. 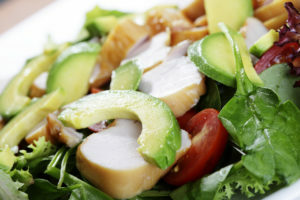 In a bowl, mix the chicken, spinach, corn, cheese, avocados and tomatoes. Add dressing and basil before tossing and serve. Shred chicken and add to the white beans, green beans, basil and zucchini. Add salt and pepper to taste. Pour olive oil and squeeze both lemons to the mixture. Sprinkle with Parmesan cheese, toss salad and serve. 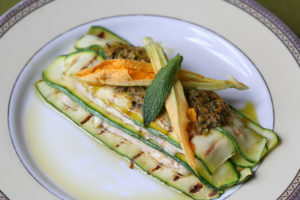 No-Fuss Zucchini Lasagna, Served Hot or Cold! Take a few scoops of farmer cheese and season it with salt, pepper and basil leaves. Slice zucchini in long, thin-to-medium slices. Slice tomatoes the same way. Begin layering zucchini with cheese and tomatoes. Drizzle the top with olive oil. You can serve this as a cold sandwich or wrap in foil and simply allow it to cook on the campfire for a short while if you want hot lasagna. Shred chicken and add cilantro, corn, beans, onions, and tomatoes. Season with chili and cayenne powder before mixing well. 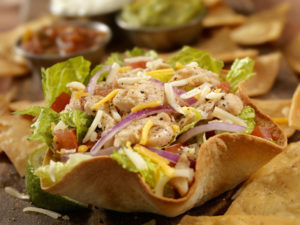 Place thin slices of avocado on top and serve inside a tortillawith chips. While you’re out in your RV eating, drinking and laughing, we hope you are protected with Specialty RV Insurance. Auto Insurance does not provide adequate coverage for a motorhome or travel trailer. Speak with an Insurance Specialist about how often you use your RV and they will find you the lowest quotes from top carriers: (866) 501-7335. The information in this article was obtained from various sources. This content is offered for educational purposes only and does not represent contractual agreements, nor is it intended to replace manuals or instructions provided by the manufacturer or the advice of a qualified professional. ‹ Last Minute Summer Campsites: No Reservations Required!